The Gerp made it possible for my clients to use low cost tablets for deploying a web-based inventory scanning application. This solution allowed me to save them thousands of dollars in hardware costs alone, not to mention it saved the IT department a ton of headaches. So glad I found this product! 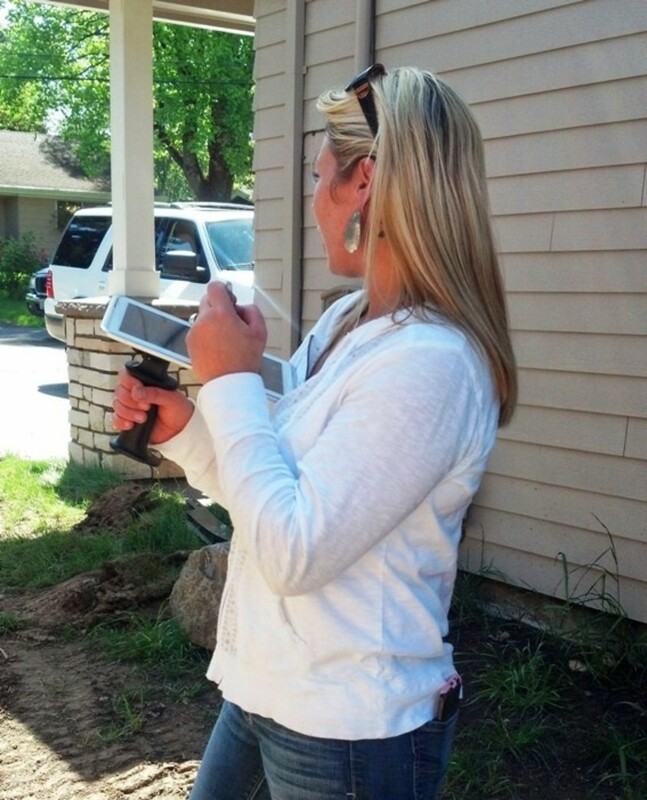 CASE STUDY: Bull Run Disitillery - PORTLAND, OR. 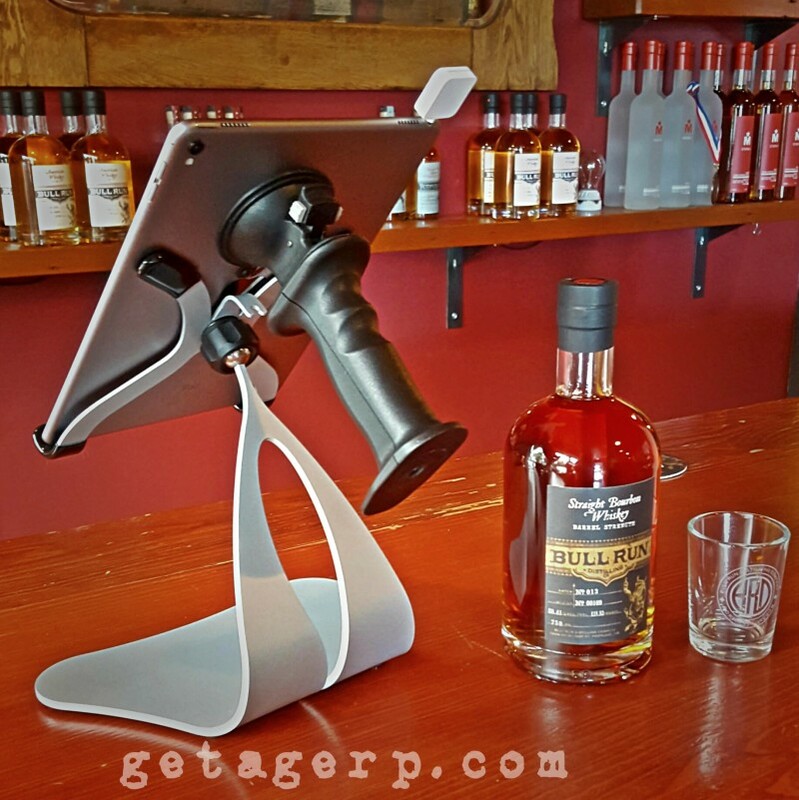 The GERP makes everything about mobile retail sales simpler. From swiping to screen signing. The GERP prevents awkward hand offs of your mobile tech. Making this critical process quick. easy and efficient. This leads directly to an increase in your bottom line and customer satisfaction by allowing you to ring up more sales when time is of the essence. Maybe you're looking for cost effective solutions to maximize your mobile tech? Gerp can help! Does your tablet ever feel awkward to hand off? 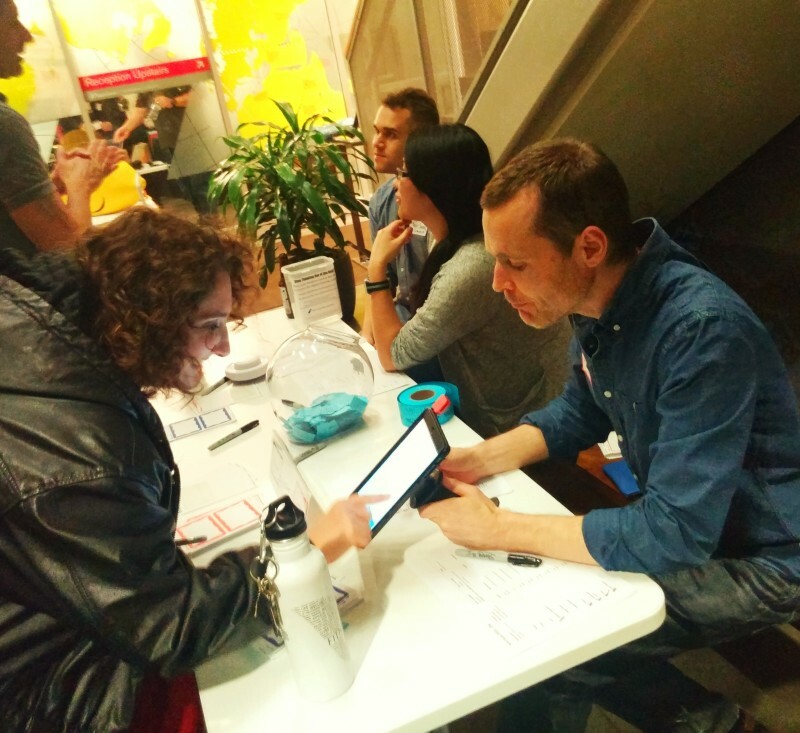 The Gerp makes checking in and sharing your tablet such a smooth and simple experience. No more bumping the screen accidentally or watching some stranger fumble with your device. It's portable and durable and ready to assist in presentations and trade shows. Gerp simply keeps you from dropping your tech and makes things more efficient. Is your iPad locked down in a static fixture? Put your tech investment to use for other needs around the store. 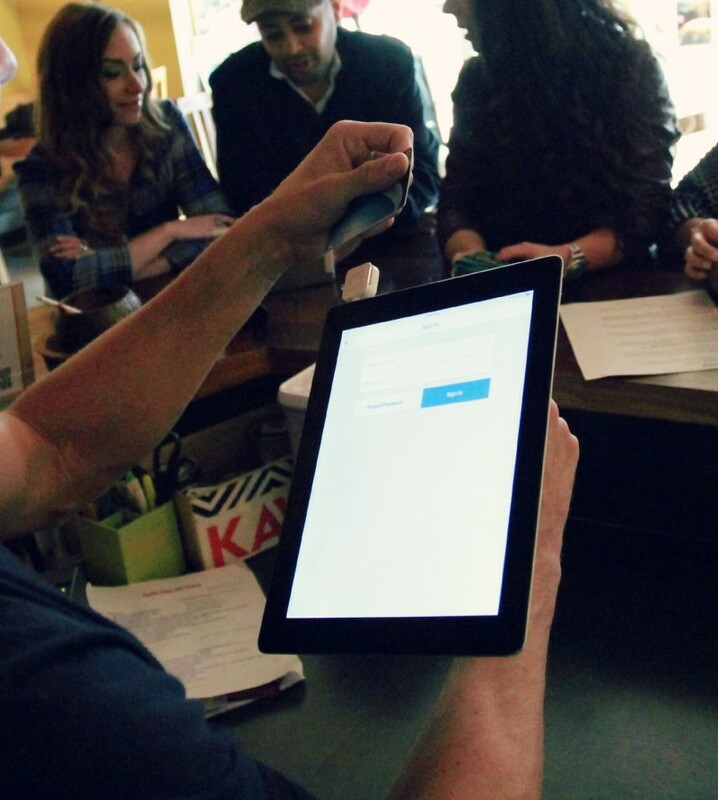 With Gerp you can quickly grab your tablet and swipe a card, then easily spin it around for a client to add their signature. Eliminate congestion and speed up lines by taking the check out system to the customer. Gerp allows your tablet or phone to become a simple, durable and highly portable POS and customer interaction solution. Do you use a stylus to take notes or create designs on your tablet? Design on the go while keeping a firm grip on your tablet. Mobile design and stylus use has never been this enjoyable . Have confidence you have a firm hold on your gear. Gerp has been praised as a solution to help turn low cost tablets into inventory control devices. The sleek ergonomic grip allows for numerable holding and grip possibilities so you can protect employees against repetitive motion injuries. Can you think of a unique way Gerp can help your business? Ergonomic design reduces stress on hands and wrists, Eases fatigue, and protects from injury. 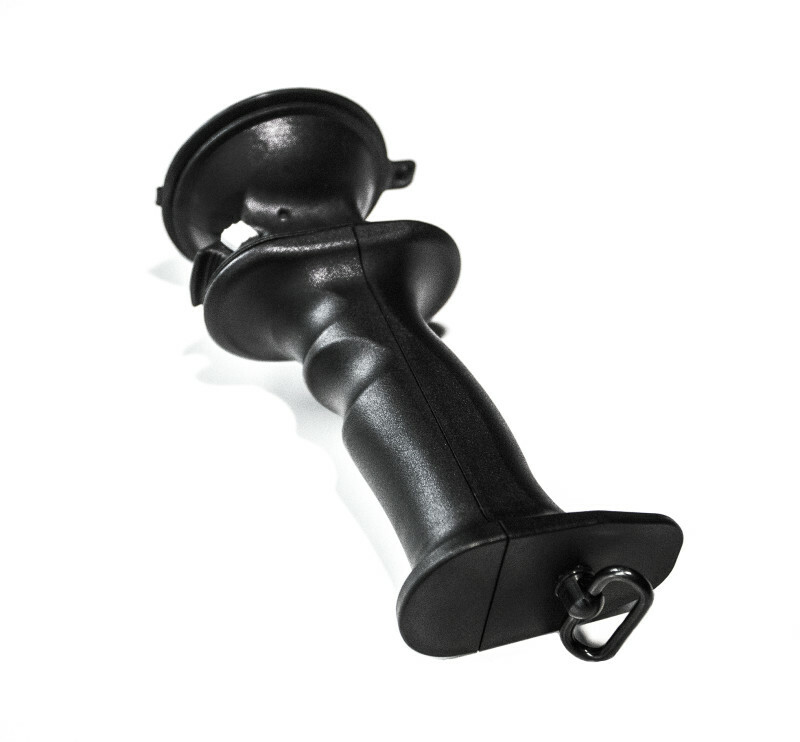 Heavy-duty, ultra-secure suction cup for hands-free mounting on any smooth non-porous surface. Made of strong, durable material designed to take drops, and falls and withstand dirty and wet environments. Gerp has a wide rang of uses and the possibilities are endless.. We have a lot of exciting products in the pipeline. We'd love to hear from you and learn more about your needs.